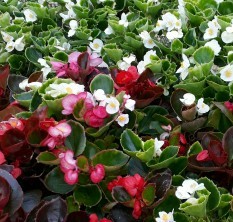 Begonias last all summer, through to the first frost. Five generations of the Philpotts family have lived and worked on this same spot for over 90 years. With 90% of our plants grown on site, we can ensure quality and competitive prices. We have a full florist department for all occasions. Located on the A44 in the centre of Leominster, we offer onsite parking and provide a free delivery service within Leominster.